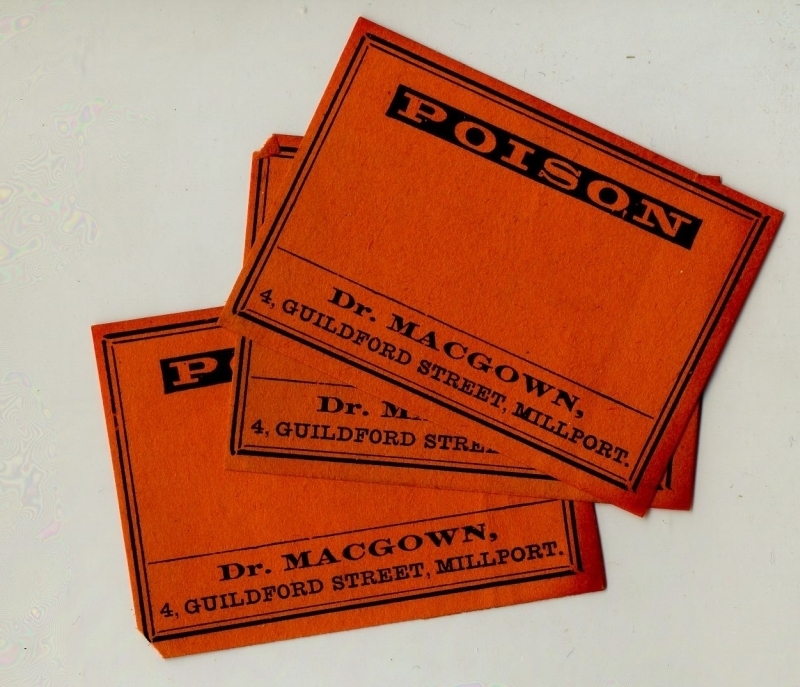 Labels for poison, used by Dr Macgown, Millport. Removed from Opera Hieronymi Fabricii, 1628. Dr Macgown, “Labels for poison,” Heritage, accessed April 23, 2019, https://heritage.rcpsg.ac.uk/items/show/390. 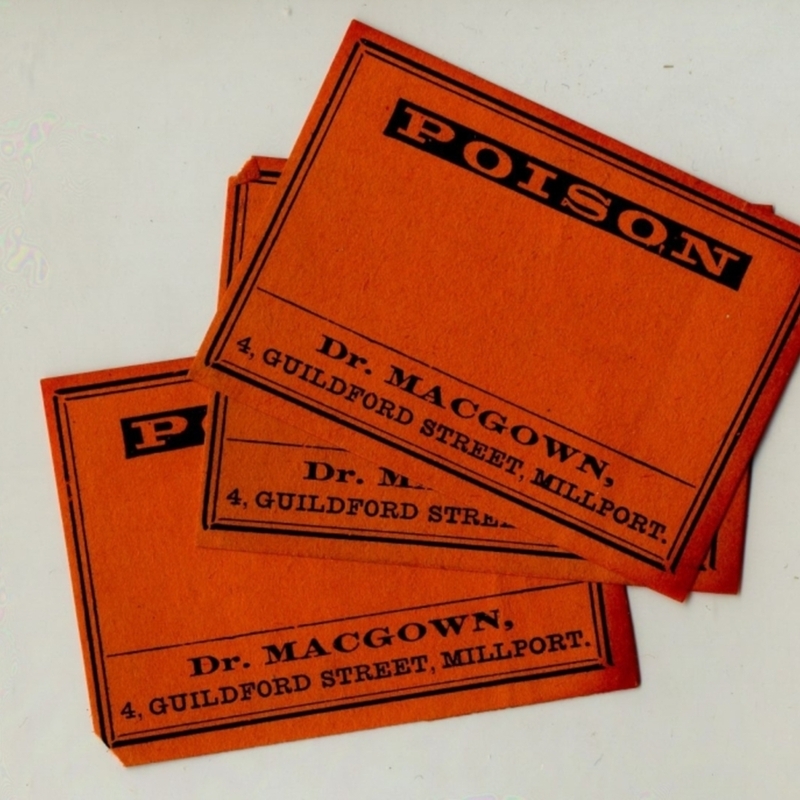 Description: Labels for poison, used by Dr Macgown, Millport. Removed from Opera Hieronymi Fabricii, 1628.